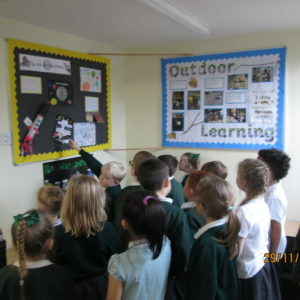 The school council walked around the school looking at the displays to choose the one that they thought the children and teachers had worked hard on. 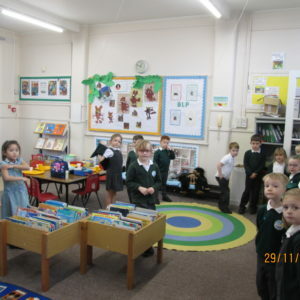 They voted by nominating a display and standing with the group they wished to vote for. 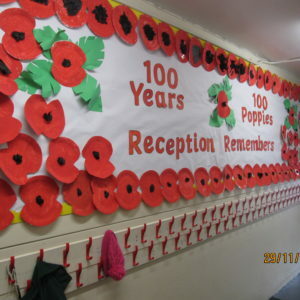 They chose the poppy display remembering the soldiers that fought in the wars over the last 100 years.